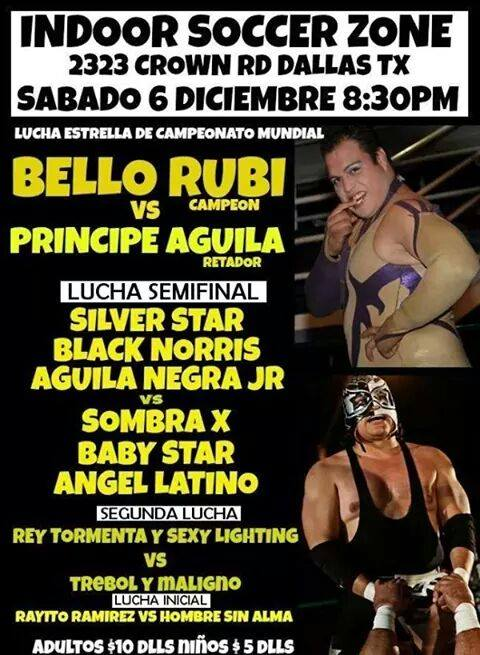 Alberto beat Neurosis after Demenzia hit Neurosis with a Guitar Hero type guitar. 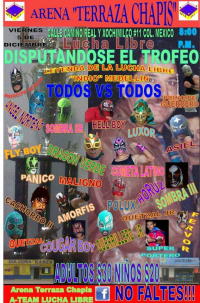 The last two may be feuding. 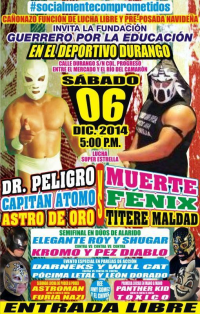 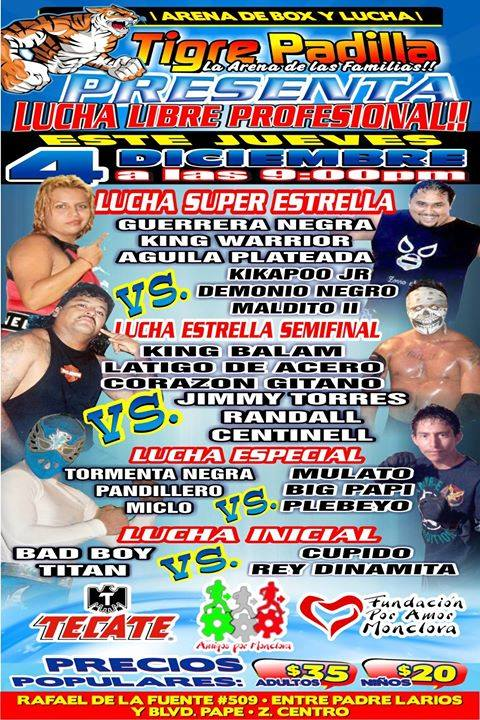 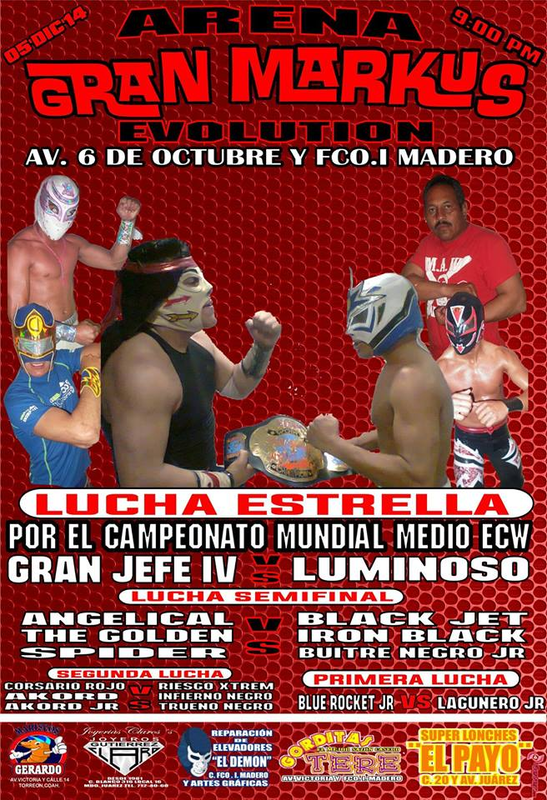 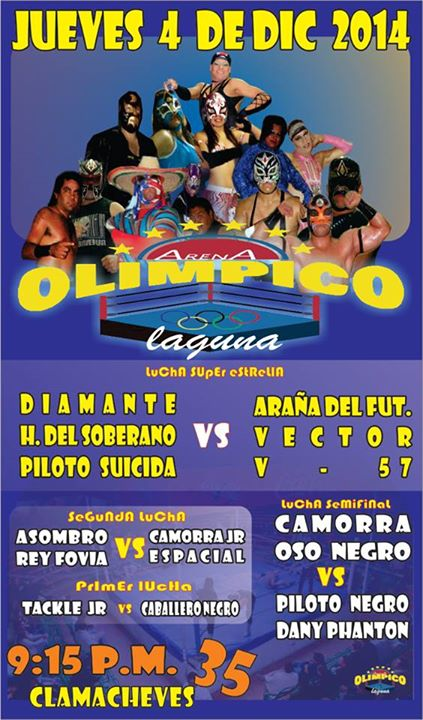 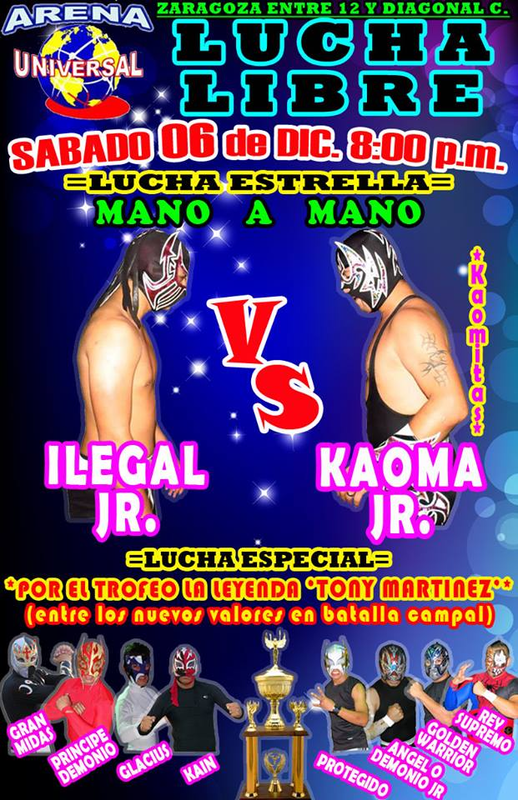 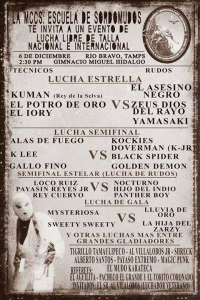 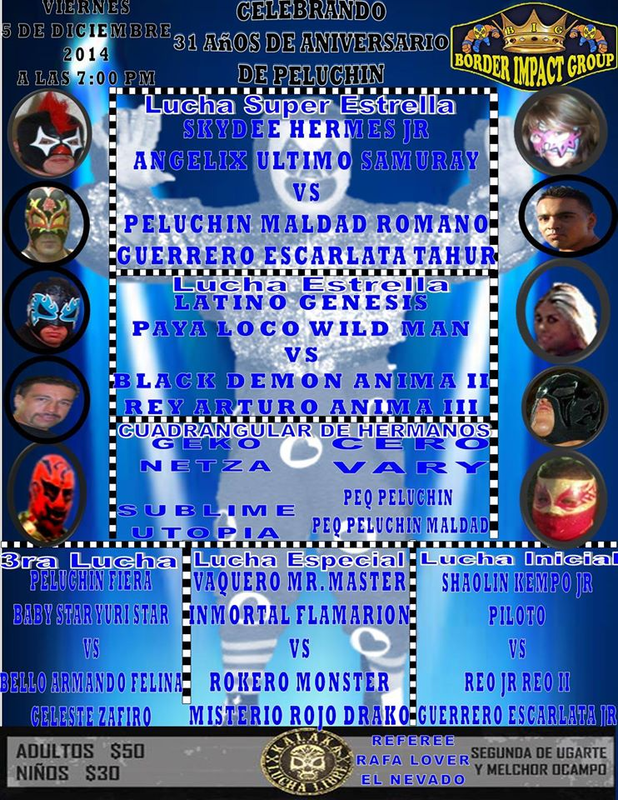 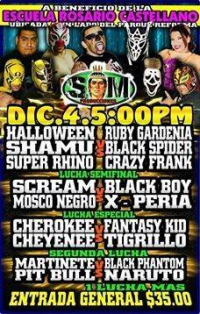 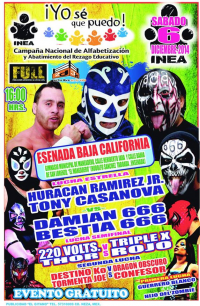 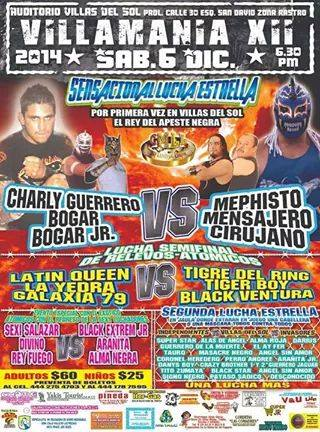 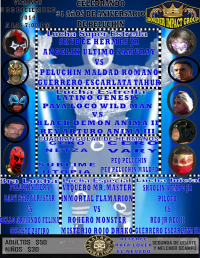 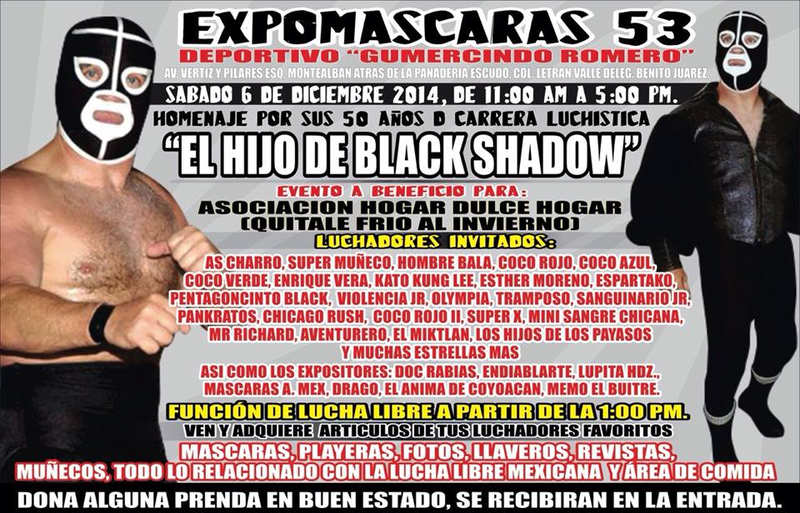 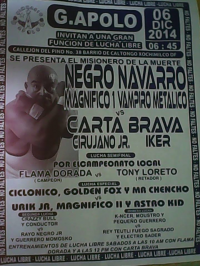 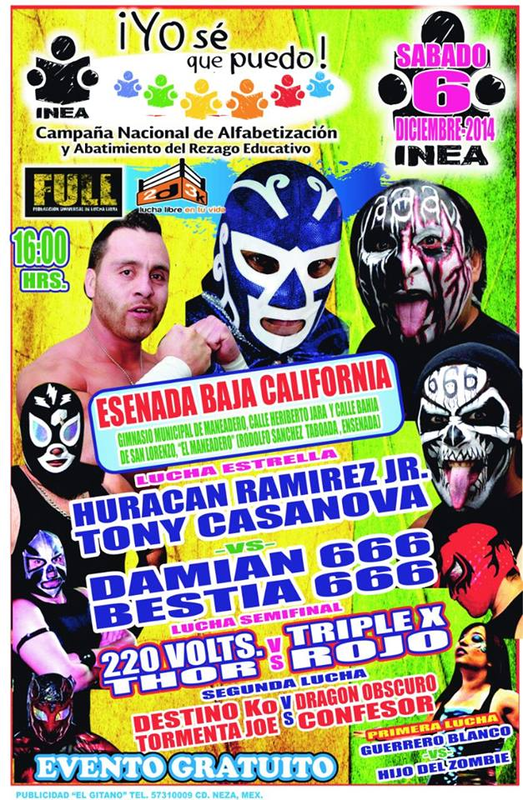 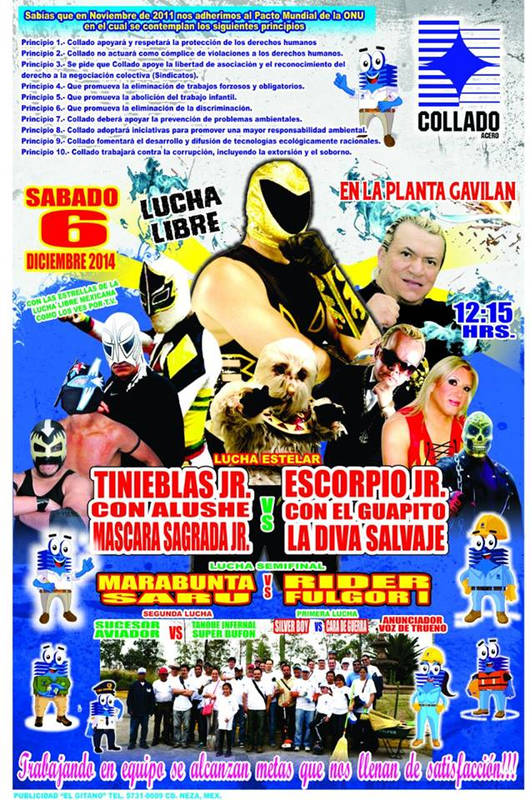 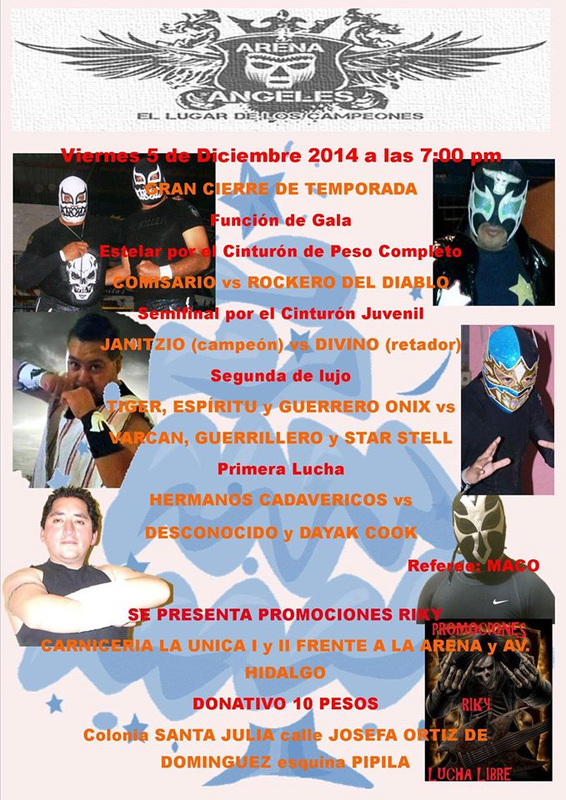 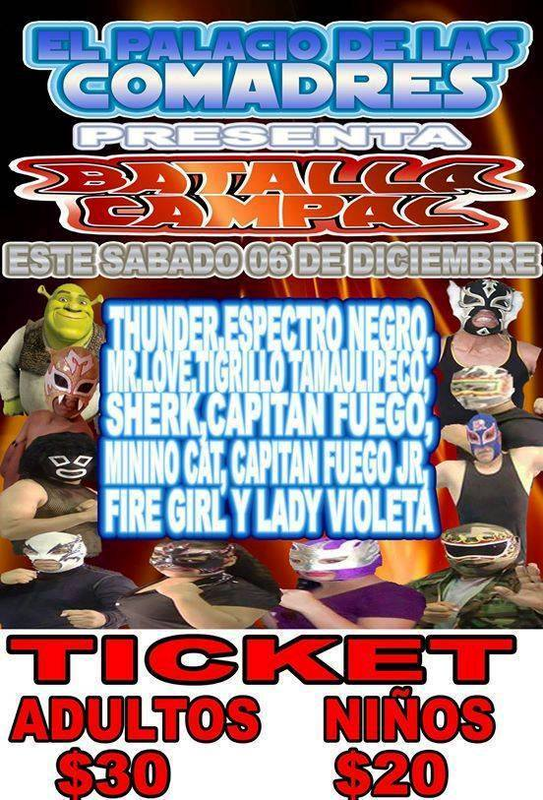 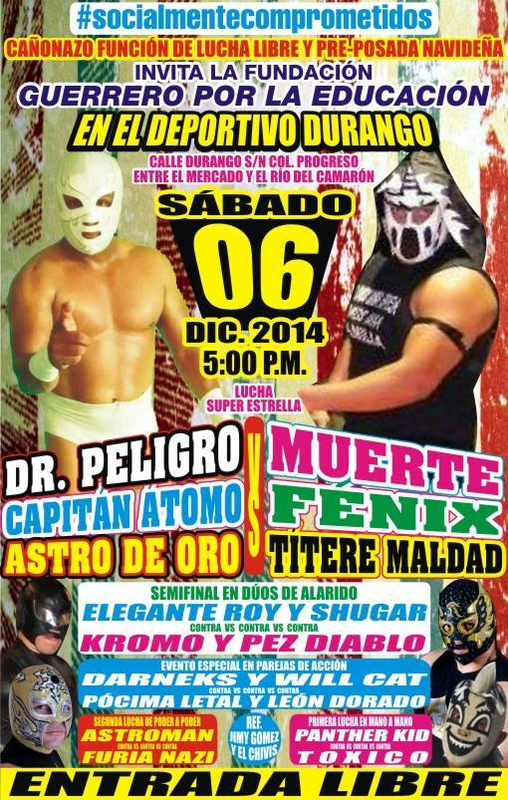 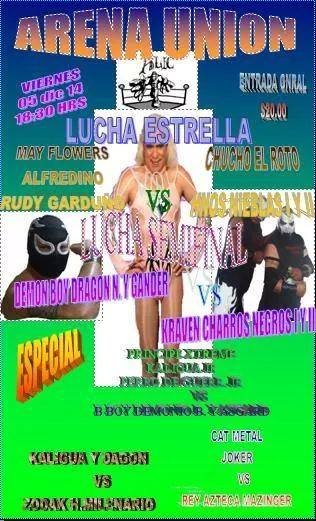 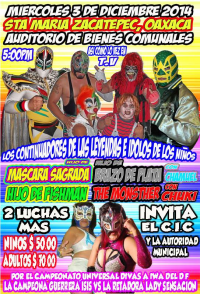 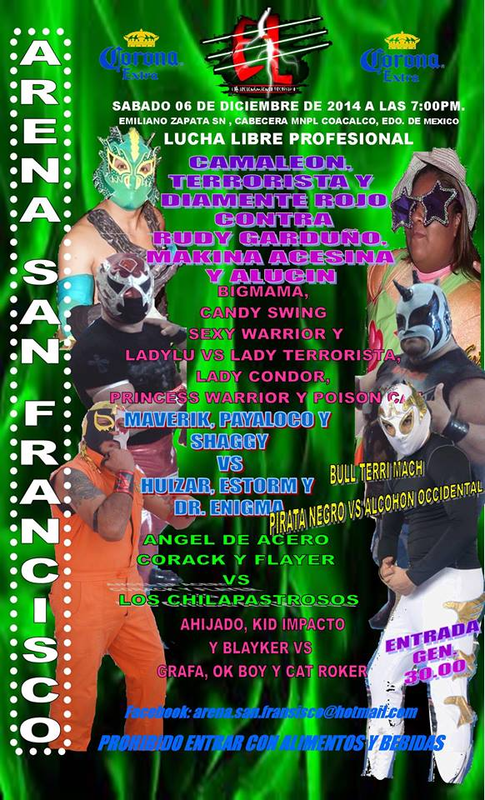 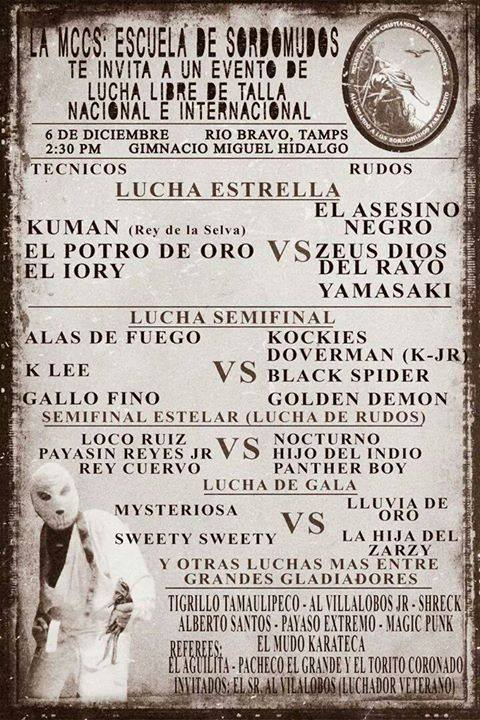 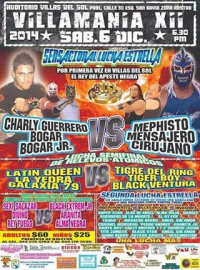 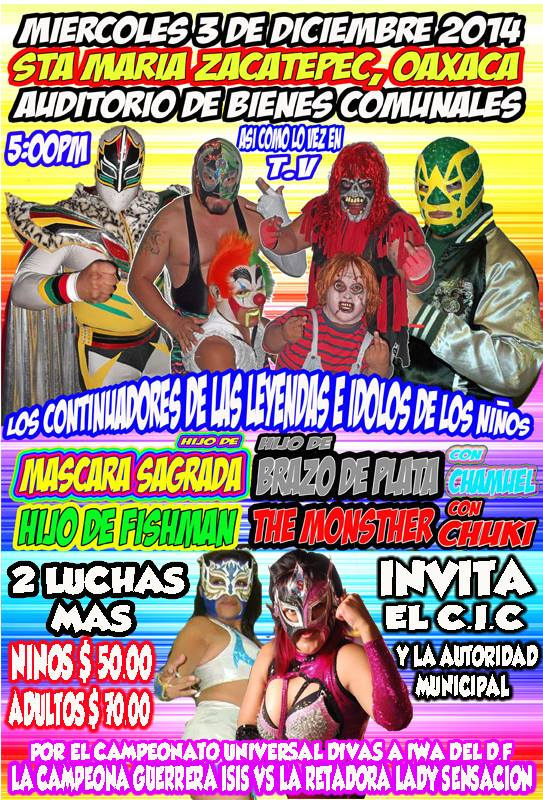 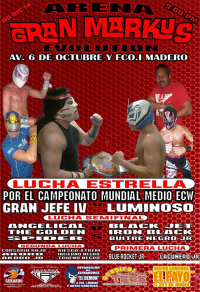 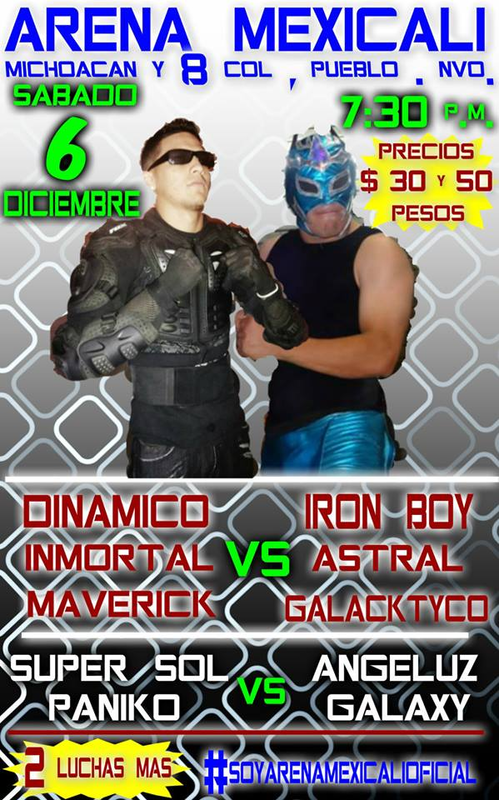 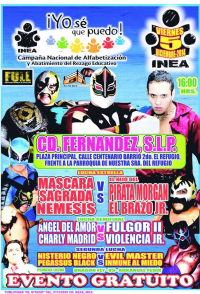 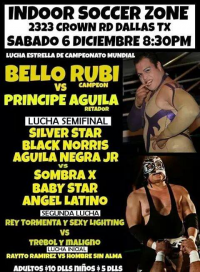 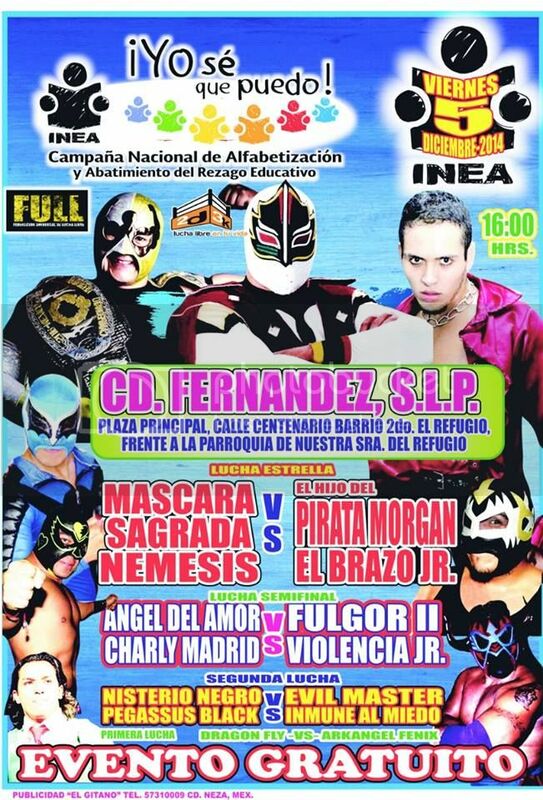 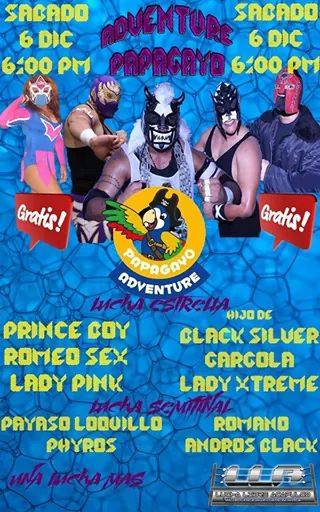 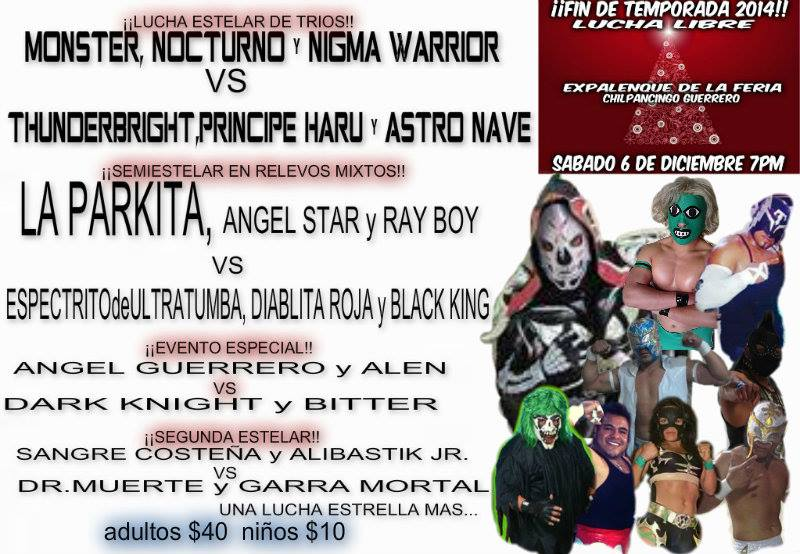 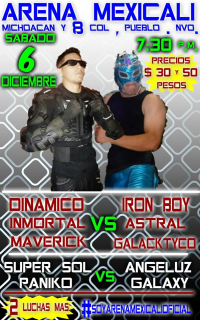 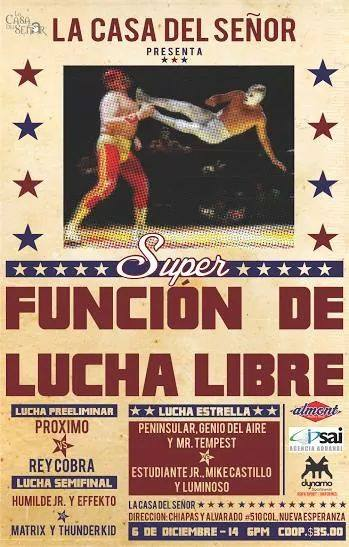 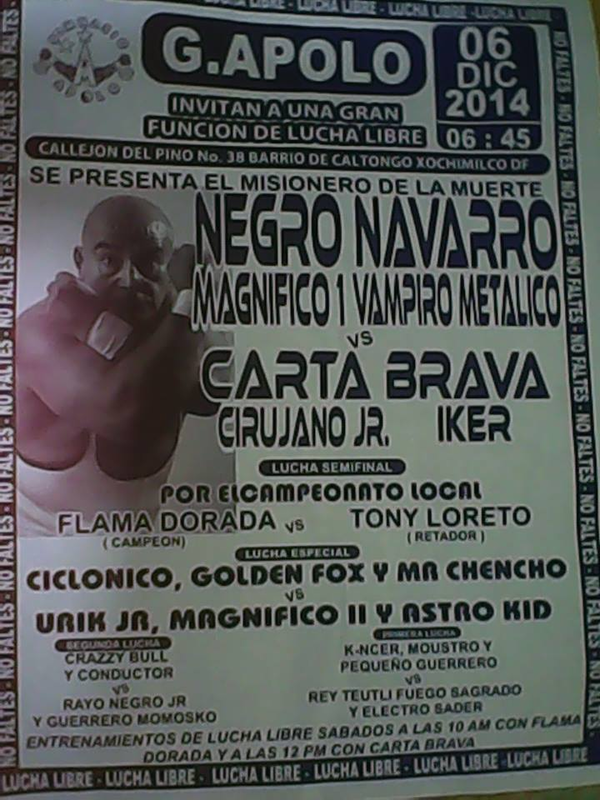 Wotan replaced Toxic Boy (injury) and Pedro Navajas did the same for Black Spider. 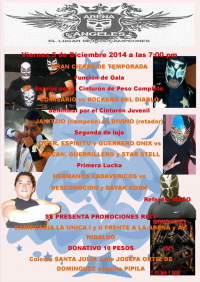 Good debut for the DF wrestlers. 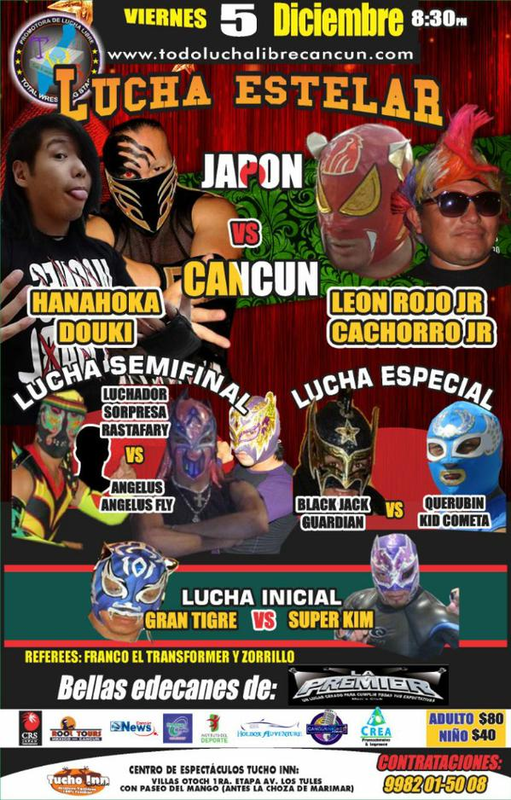 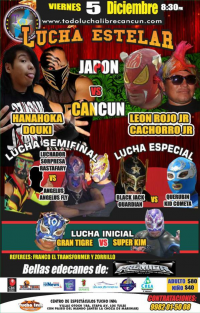 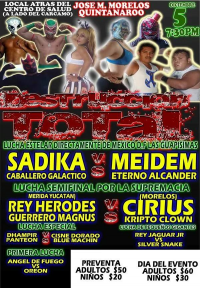 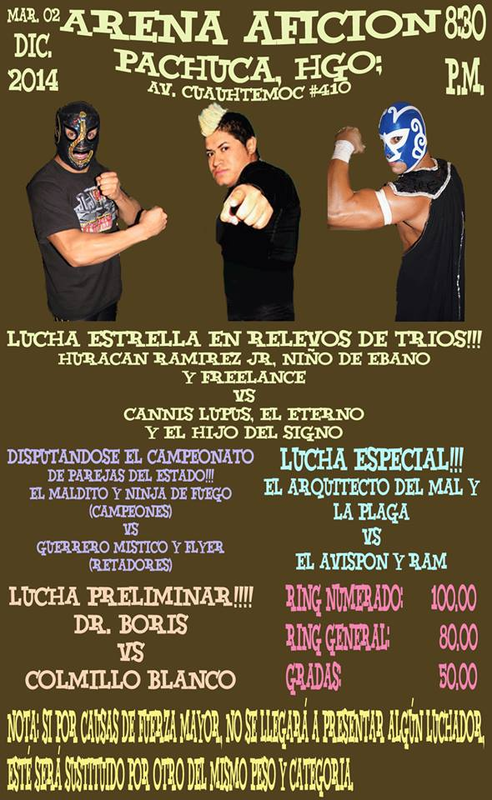 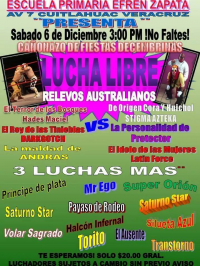 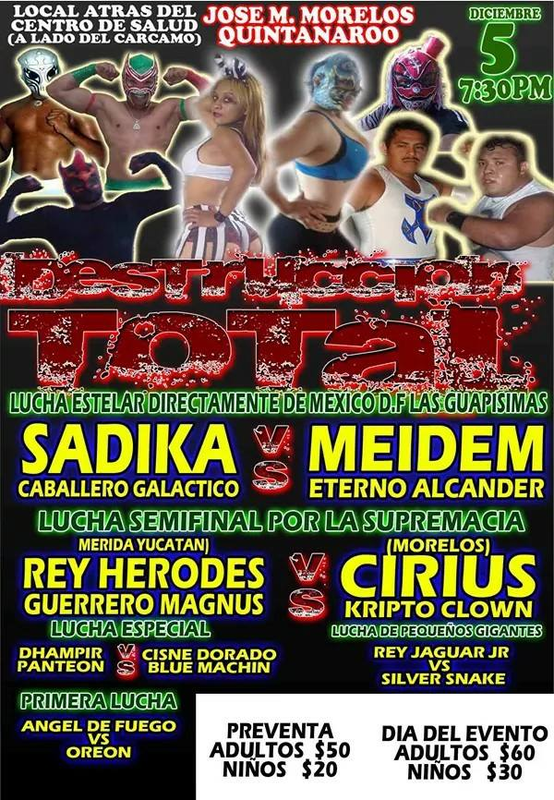 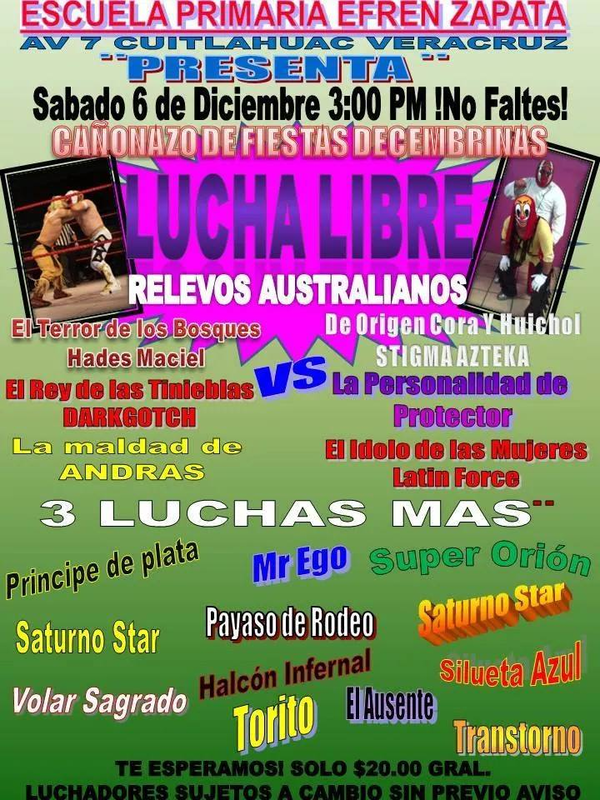 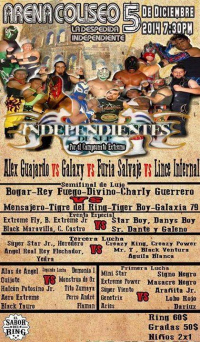 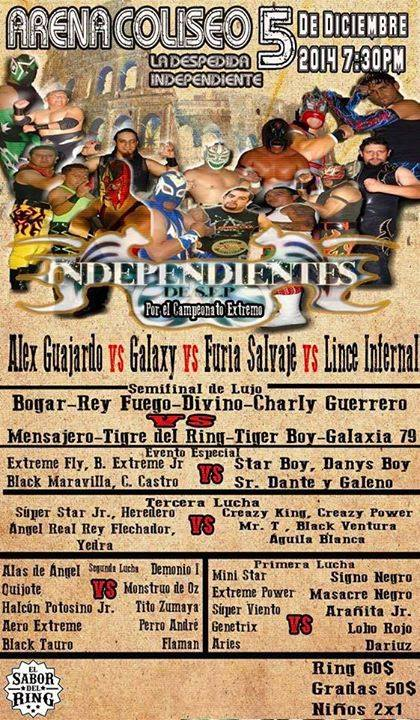 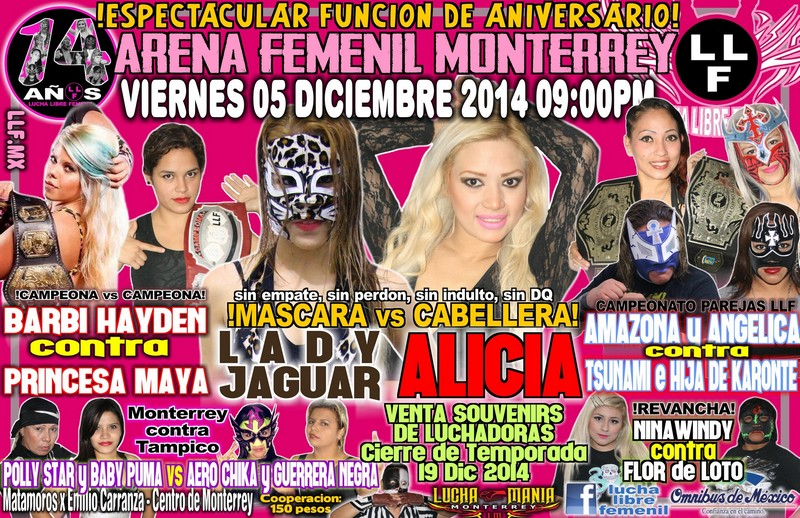 Sammy Guevara added to the match? 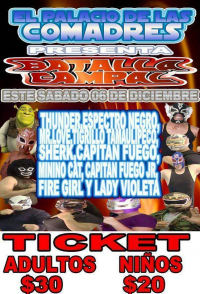 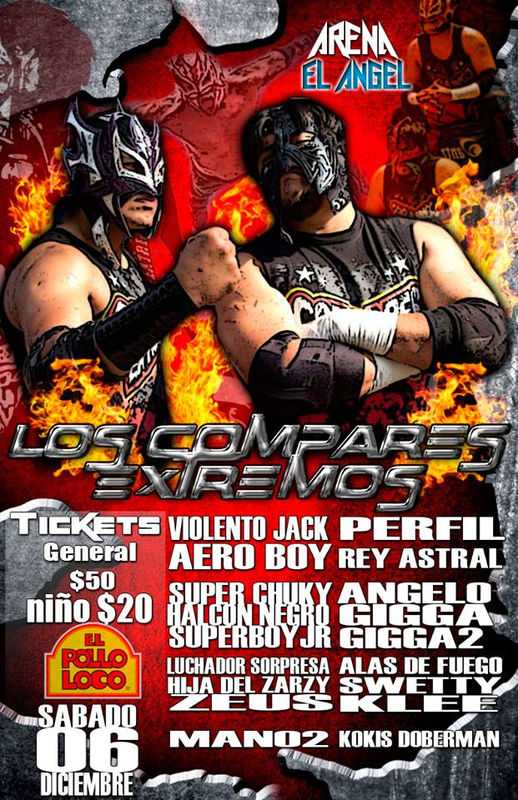 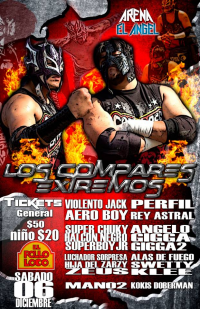 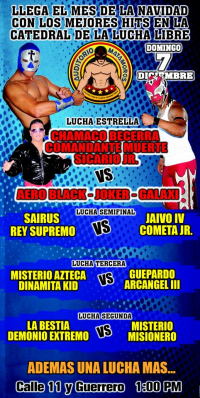 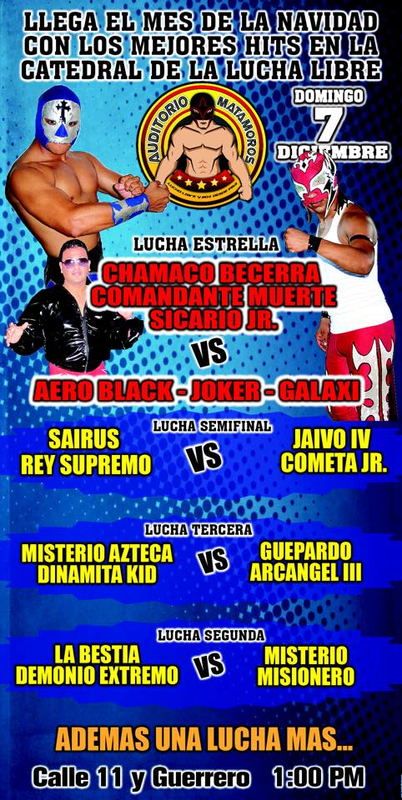 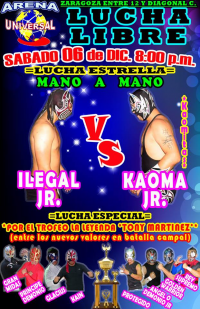 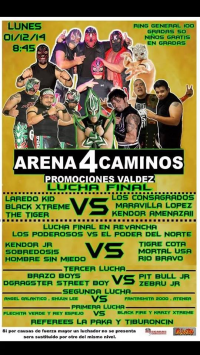 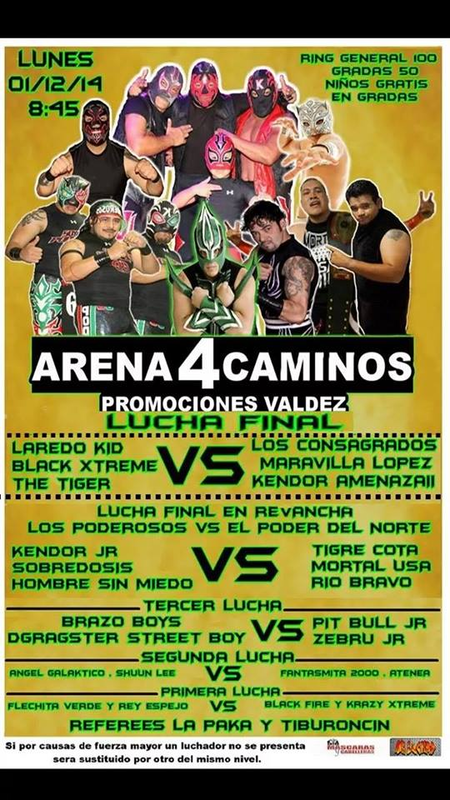 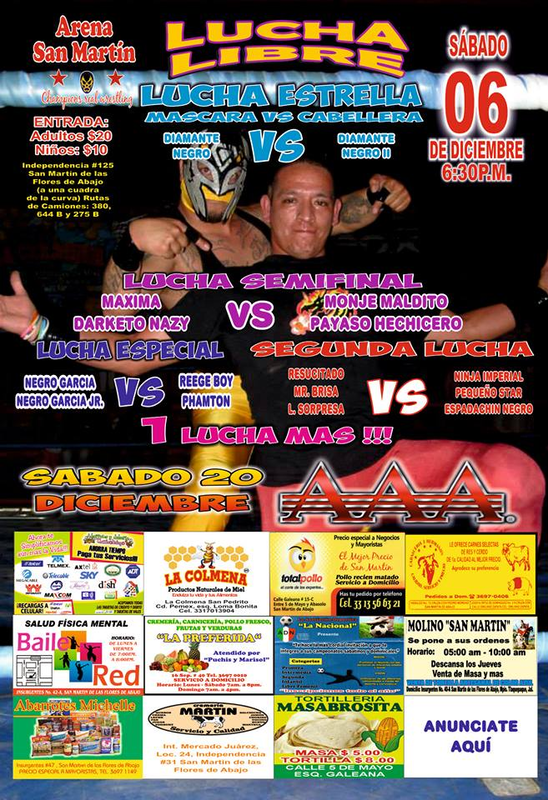 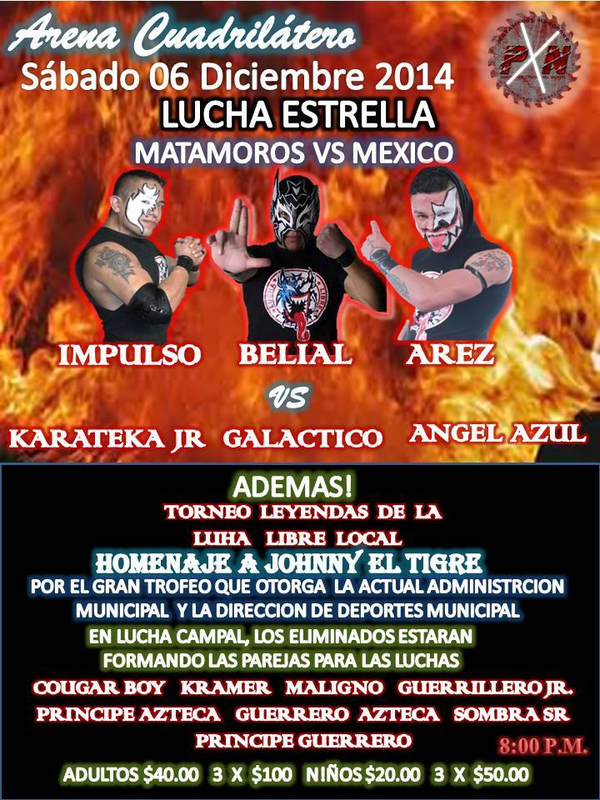 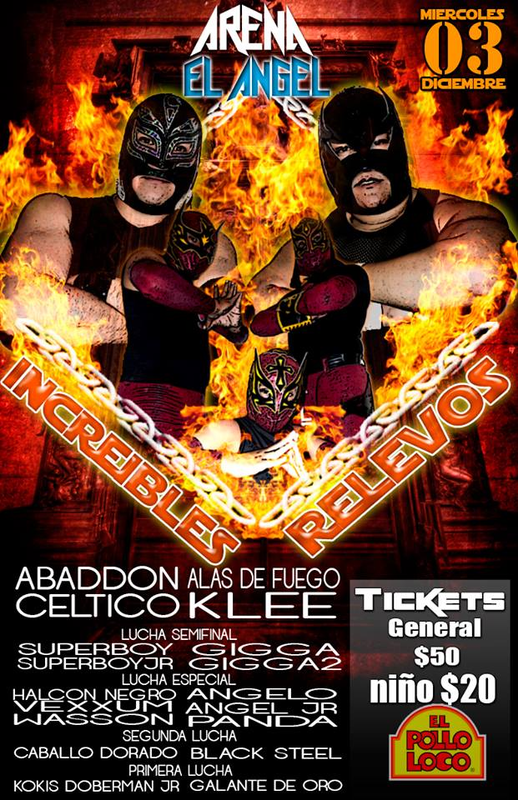 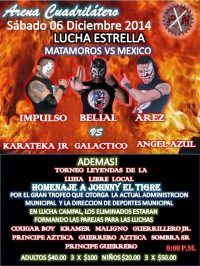 Laredo beat SUper Nova. 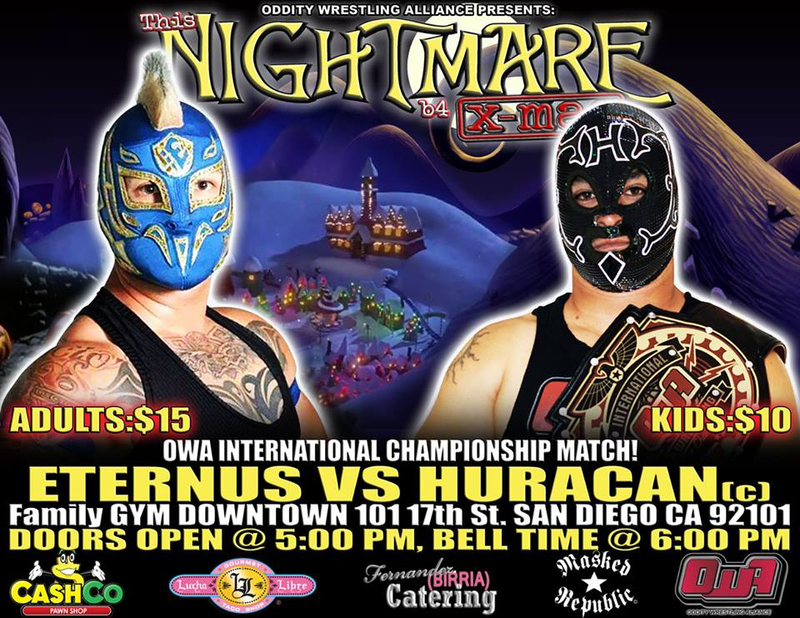 The Un-Mexicans won, though Xtreme Dragon helped them out. 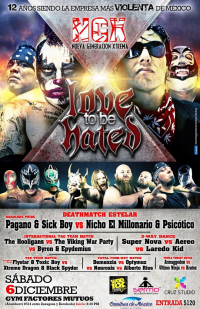 Pagano & Sick Boy won in a match including fire by beating Psicoticio after Nicho was taken out. 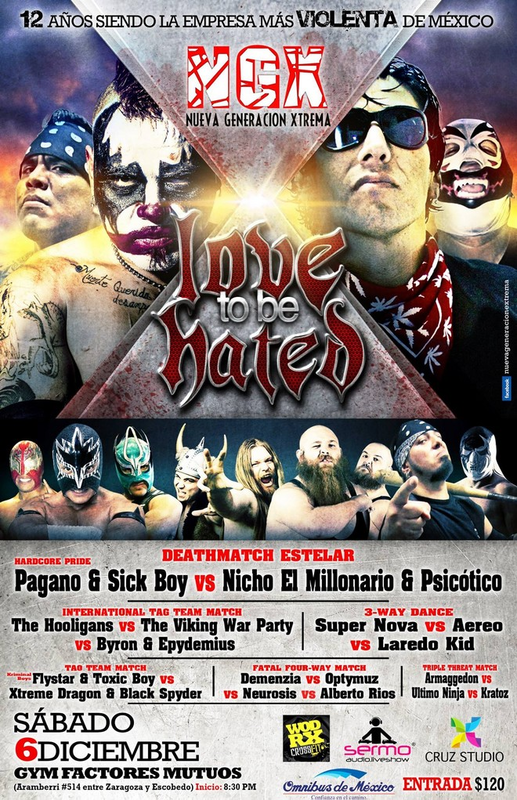 Pagano & Sick Boy had to be separated from a Nicho supporter and Nihco had to be seperated from them even after the match. 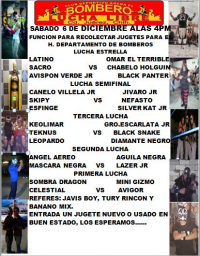 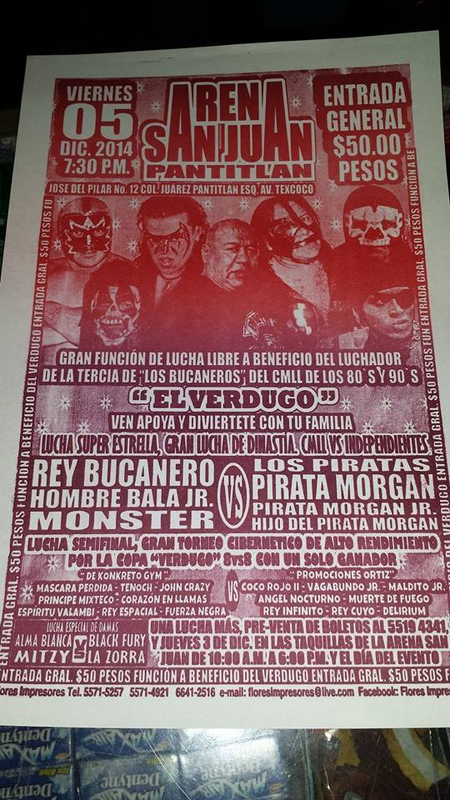 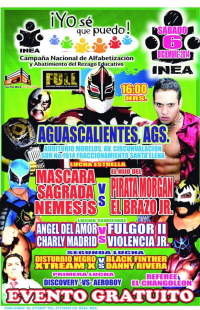 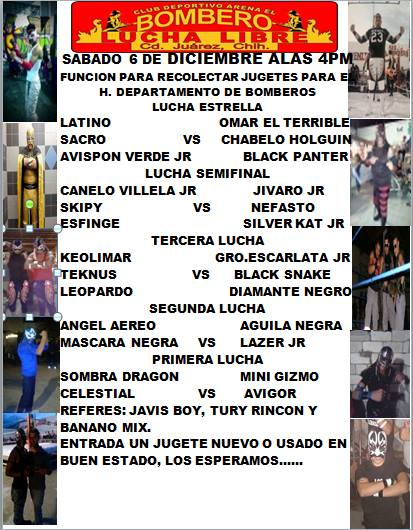 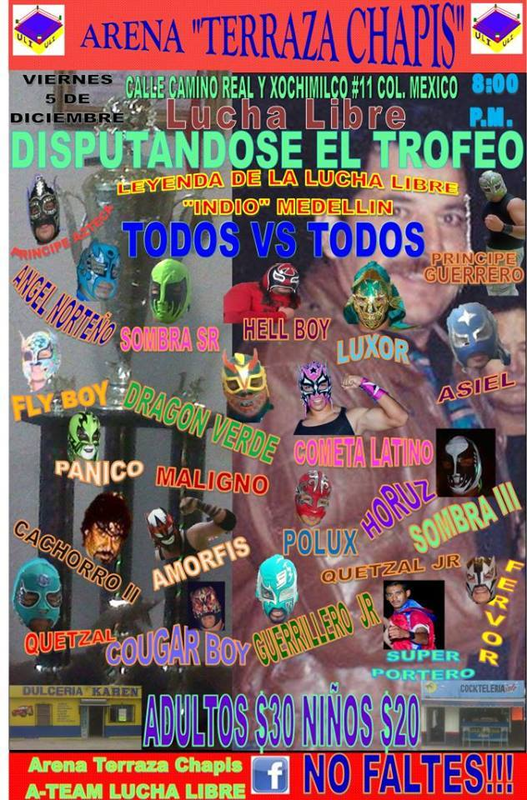 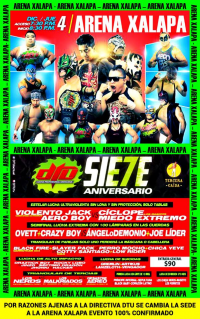 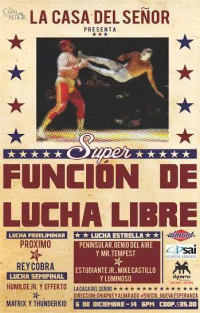 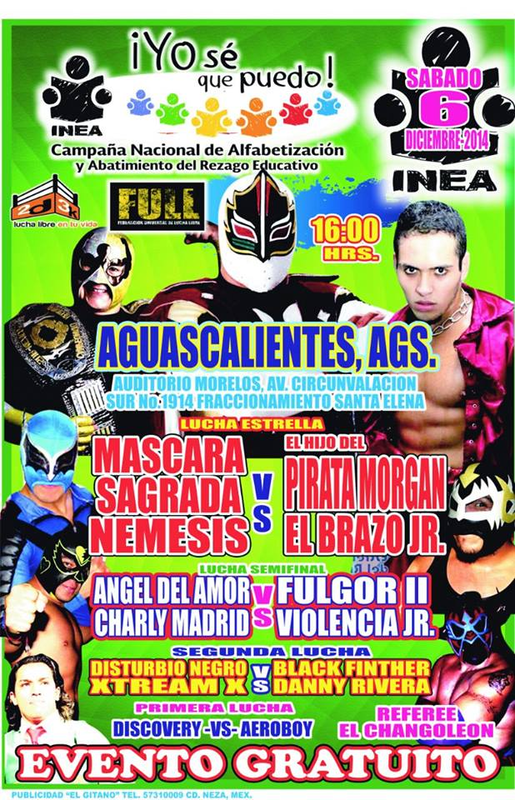 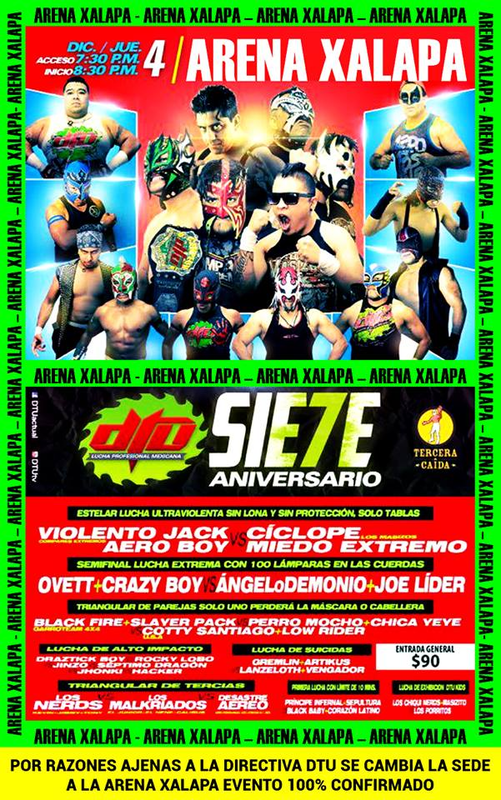 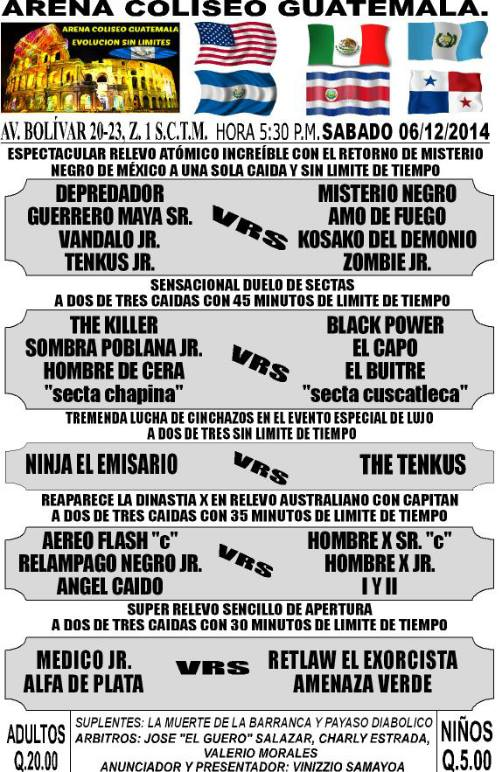 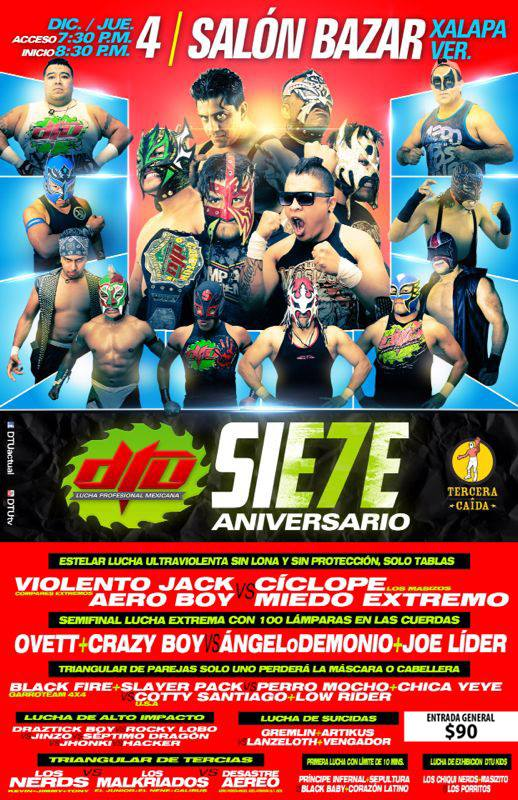 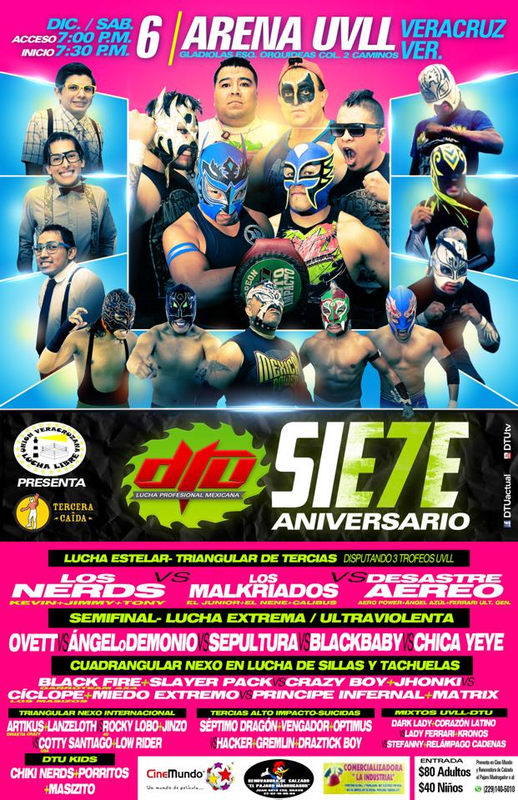 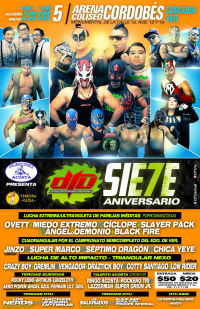 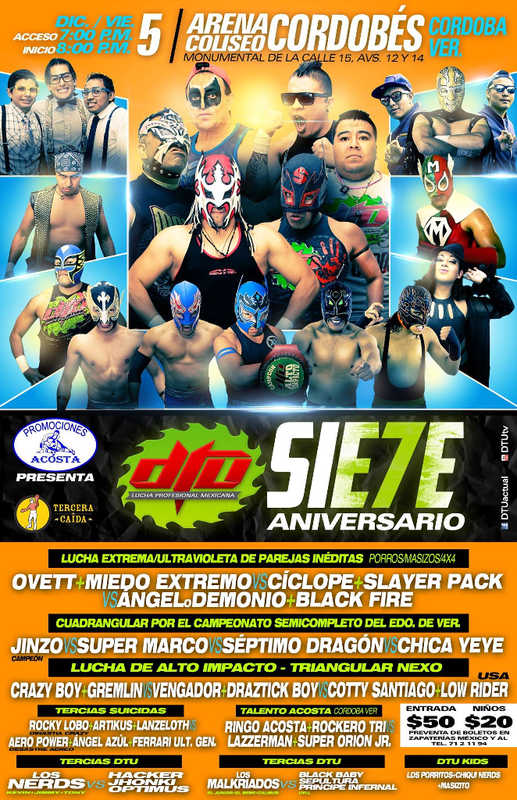 4) Máscara Sagrada & Tinieblas Jr. vs Diva Salvaje & Scorpió Jr.
5) Dr. Wagner Jr. & El Hijo del Solitario vs Octagón & Tinieblas Jr.